Bernadette, I wish you a wonderful and heartwarming day on this very special celebration in your land. I am very grateful this morning for the bright blue sky and the little birds feasting in front of me. Family gatherings are special though. Hug / miriam 🤗 . Good to hear from you. Hope all is well and you have wonderful holidays. Happy Thanksgiving Bernadette and have a wonderful holiday. Happy Thanksgiving to you and Dom. Have a safe and peaceful day. 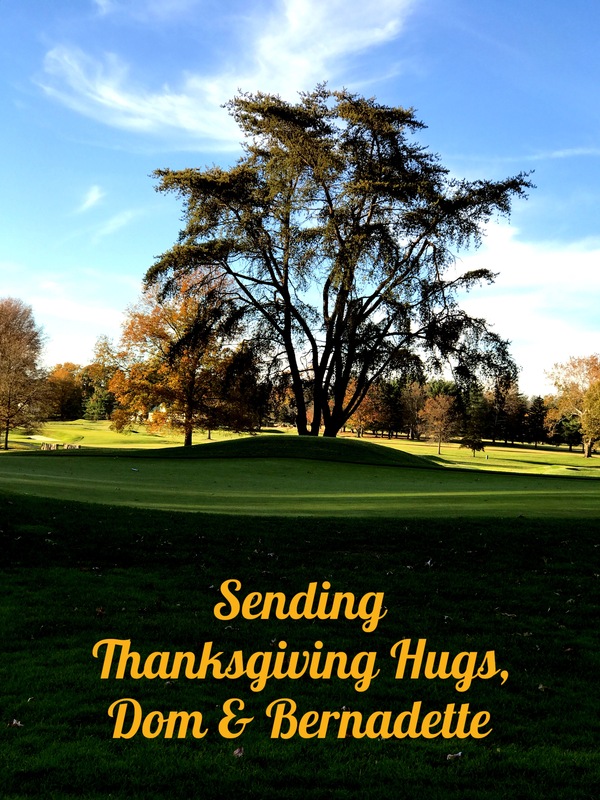 Sending you a Very Happy Thanksgiving wish on this thankful day! Hoping that you have much to be thankful for this Thanksgiving! Thank you, Bernadette. I wish the same for you and your loved ones. Thanks Bernadette–wishing the same for you.